Human hair Supreme Ultimate Plus Premium Quality 100% Human Hair tangle Free. 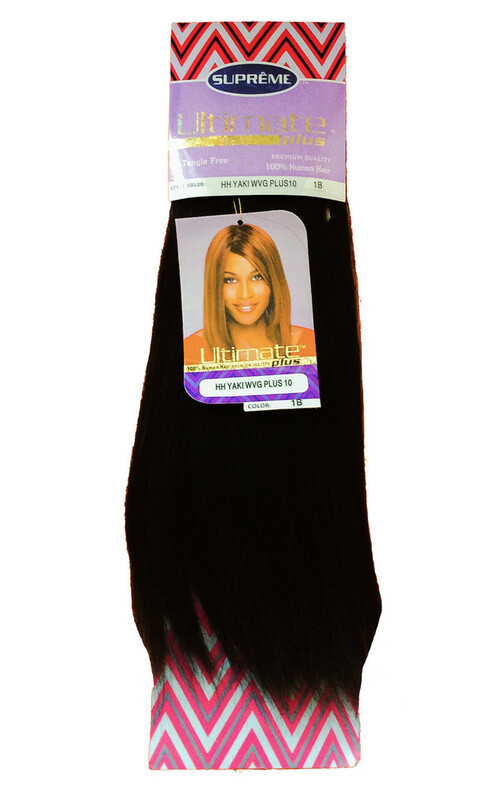 HH YAKI WVG PLUS 10 inches 1B made by Beauty Essence. Black.